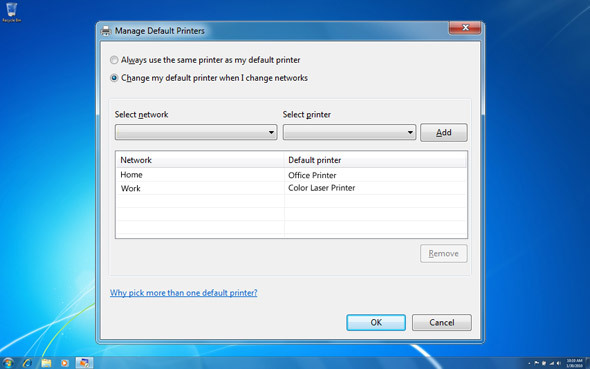 Windows 7 can automatically detect which network you are connected to, and change your default printer to suit! Now, it doesn't matter if I'm at home or at University, my Windows 7 Professional laptop prints from the correct printer automatically! I just discovered this awesome feature tonight, after reading the Exploring Windows newsletter that I receive in my email inbox. 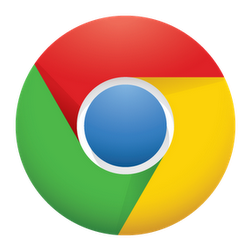 Along with a very useful article called "20 PC Shortcuts You Need to Know"1, I saw a mention about a Windows 7 feature called Location Aware Printing. Intrigued, I clicked on the link and discovered that it was the solution to one of my long-standing problems. 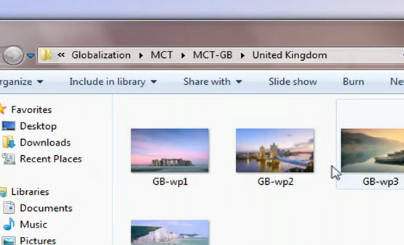 Location-aware printing is only available in Windows 7 Professional and Ultimate, and only on laptops and other portable devices that use a battery. Which is lucky, as I happen to be using Professional on my laptop. Following a quick how-to I found on the Microsoft website, Automatically switch default printers between home, work, or school, I was able to easily set it up, and now I can't wait until tomorrow when I go back to campus, so I can try printing and not have to worry about making sure I have the right printer selected.